Simple and convenient application to track home belongings, from a coffee maker to a car and even a house. With this application, you will always know where things are, the end date of the warranty or insurance of your products or when you need to service your car or printer next. You will also know all your expenses for the acquisition and maintenance of the property. For this matter, the application has the system of personal finance accounting system. - Tracking the information about personal property in terms of categories and storage. - Accounting the expenses for acquisition and maintenance. - Keeping track of the end dates of warranties, insurances and regular service activities. - Tracking and search in the database by serial numbers, Service Tag, bar codes etc. - Storing the information about the product condition (excellent, normal, bad etc.). - Storing the information about the status (in storage, in use, lost, sold etc.). - Comments on each item. For example, it may be a usage history of the products or a description of problems faced. - Any quantity of photos and search by photos. - A repair history with a separate accounting of material and work cost. - Storing the information about the initial cost and residual cost of the products. Obtaining a product list with the cost for the insurance company. 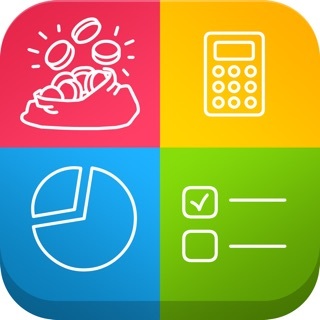 - Accounting personal finances in any number of accounts. For example, cash on cards etc. - Keeping track of accounts turnover in terms of categories of income and expenditures, contracting parties and the products, account balances. - Reports and diagrams as regards accounts turnover. - Storing the information about organizations. They may be vendors you bought the products from or clients you sold the property to. - Database backup. Database exchange with other apps via iCloud, Dropbox. The program is fully compatible with mobile version (Nano Home Inventory for iOS). I like the way this app is setup although I do wish it could actually sync. I don't consider exporting a file to iCloud on one device then importing from iCloud on the other device syncing. My only other gripe is the iPhone version crashes all the time. If not for that it would probably get four or five stars. Overall I like the app. I love there is a bar code reader so I can scan bar code serial numbers. Unfortunately the bar code reader does not read QR codes and also has problem with bar codes that start with letters. It could read the SN on my TV it could not read the bar code for the model. I love that I can easily and for free backup and restore data.